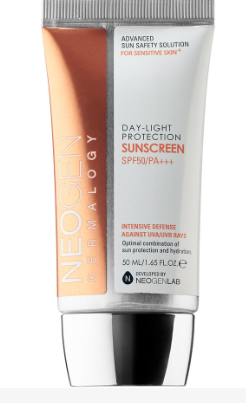 I was lucky enough to be sent some cool products from a Korean skincare company by the name of NEOGEN Dermalogy and they just so happen to be sold in Sephora. Before I even heard of them one day, I was browsing the aisles and stumbled upon one of their products that has helped transform my skin in the best way possible. To understand what I’m talking about click HERE. They stumbled upon my channel and wanted me to try more of their products. I’m a firm supporter of using products with natural ingredients to aid in my skincare regimen so I happily accepted, not to mention, Korea is king when it comes to the best in skincare brands. 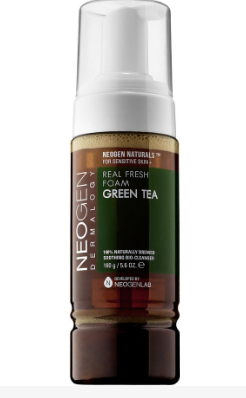 This gentle cleanser made with natural green tea is definitely one of the best natural cleansers for sensitive skin on the market. I am very acne-prone so to put my confidence in a product like this is a huge win. I feel like it can draw out dirt and impurities as effectively as any other cleanser out there. The foam helps lather up the product quickly and soothes my easily-irritated skin. I usually use this in the morning to help feel more awake, pampered and ready to take on the day. It also does not leave my skin feeling stripped or damaged in any way, which I love! We all need proper sun protection and I’m a stickler for keeping my skin properly cared for whether I’m outdoors or not. That’s why I need a good sunscreen that is not only lightweight under makeup, but that can keep my face cast-free. I cannot stand to have white flakes clinging to my face so this sunscreen is perfect. It blends into my skin within seconds leaving behind a fruity scent. 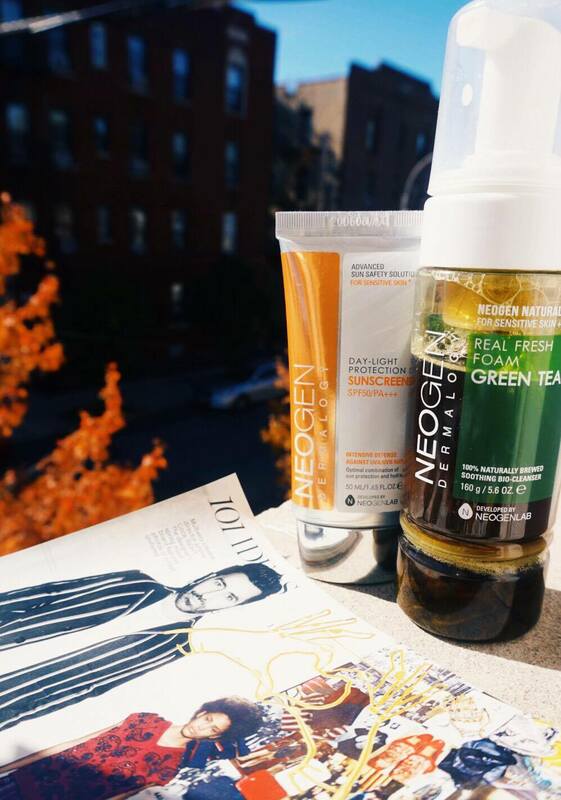 Go ahead and give these products a try, you won’t regret it. DISCLAIMER: This video is in partnership with NEOGEN Dermalogy. All opinions are my own.